If you’re looking for an affordable way to decorate your business for the holiday season every year, you should consider retractable commercial awnings. 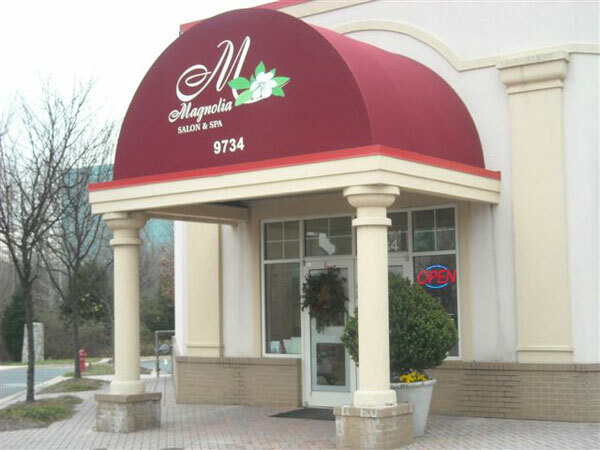 With awning fabric you can customize icons, words, and colors to fit in with the holiday spirit. Some great holidays awnings can be used for are the Sukkot Holiday, Thanksgiving and Christmas. Not only are holiday awnings stylish but also they can be used as shelter against inclement weather – resistant to rain, wind, solar rays and more. Don’t worry about your fabric wearing and tearing, Carroll Awning Company will produce the best quality awning fabrics out in the awning industry. Learn in detail about these well-designed Retractable Awnings. Here are samples of our awnings with graphics. For more information on Holiday commercial awnings, residential awnings and canopies ( as well as a free quotation) call Carroll Awning at 1-800-999-5617 or click here today!